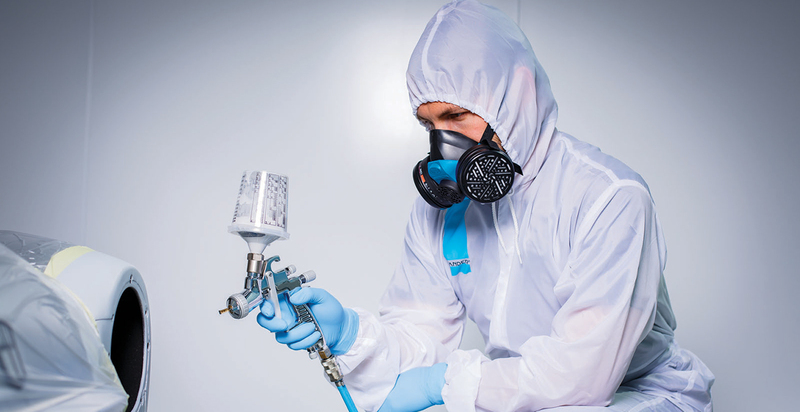 To achieve the best possible spray paint results, craftsmen always look out for the most efficient ways to handle paint. 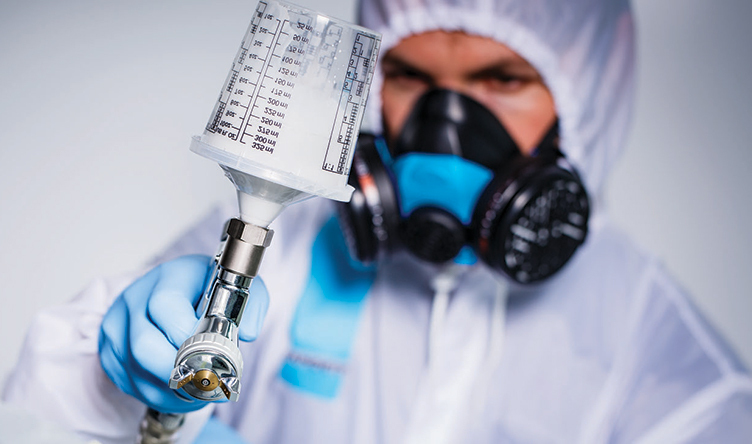 We found that in our industry, the paint prep for paint application was in need of an update. A lot of paint systems consist of various different (and expensive) parts. An inconvenient and inefficient process that needed to see improvement. Together with professionals, we developed a fast and easy paint application system. Ready to roll in just 2 simple steps! We will help you out with a quick user guide (it actually speaks for itself!). Hold on, just one second! Before you start, always make sure you are well prepared. You probably don’t need to be reminded, but before starting any job, please take care of your personal safety by choosing the right Personal Protective Equipment (PPE). You can find our PPE range at: www.tander.com/....... Proper personal protective equipment not only protects you, but also prevents contamination of the painted surface by hairs, fibers and lint. Keep your PPE clean and do not enter the spray area if you do not need to, in order to maintain the best results. When you are a regular Paint Application System user, you can skip this. But first make sure your adapter is well mounted on you spray gun. Easy does it, just screw it on and secure it by using a bahco or wrench #22 to prevent leaking. Never use the system when the adapter is only secured by hand. This could cause a mess! Adapters are available for different types of spray guns. Unsure which adapter to choose? Contact us and we will help you out. The Tander Paint Application System comes in 350 ml and 700 ml version. The smaller 350 ml version is ideal for spot repair while the larger 700 ml version will help you with bigger jobs. The Tander Paint Application System helps you to prepare in no time, as you're ready to start your paint job after two short actions. Prepare your paint in the Tander Paint Cup as calculated by your spray paint computer or measure the correct mixing ratio using the integrated print on the cup. We recommend using the Advanced Paint Stirrer to achieve the optimum color blend. Satisfied with your color? Simply pop on the Paint Application Lid after inserting the tube in the cup. Close it firmly with both hands. There’s no need to pour your freshly prepared paint into another system part. This saves on equipment and prevents contamination. All that is left is to screw on your spray gun and you’re ready to go! Using the Paint Application System makes your job faster and easier. Achieve the highest quality results possible while, as a nice side effect, you saved time, money and space in your paint mixing room. HEY, DID YOU KNOW THAT…. YOU CAN REFILL OUR SYSTEM? The Tander Paint Application System is intended for single use only, however, if you find that you run out of paint before finishing your spray paint job, you can refill the system. Simply remove the spray gun, pull up on the tab and unlock the seal in a circular motion to remove the lid. Refill the cup with paint and reseal the lid after inserting the tube. Screw your spray gun back on and finish your job! Got some leftovers while finishing your job? Use the Tander Paint Cup Lid to store the unused paint in an airtight and dust-free environment. With our help, you are able to create your masterpiece. We would love to see your projects - share them with us on social media!